The financial markets are closed for the Christmas holiday, but when trading resumes on Wednesday, here's what's likely to help shape the rest of the week on Wall Street. 1. Attack of the Holiday Gift Cards. With Christmas shopping and other gift-bearing holidays fading in the rear-view mirror toward the latter half of the week, let's talk retail. We'll get an early read on how the holiday season went soon enough. Amazon.com (AMZN) has a habit of putting out a press release a few days after Christmas providing some insight as to its top sellers during the season. (Spoiler alert: It's usually a lot of Kindle and Kindle Fire products.) Traditional retailers typically follow with their December sales reports in early January. However, the one interesting aspect of this years numbers will derive from growing popularity of gift cards. Sales of gift cards will top $110 billion this year, according to a CEB TowerGroup research report. Which means that even though the days following Christmas are usually brutal for retailers, with more people holding gift cards (which often drive sales beyond their face value), the registers may still continue to ring long after Santa's back at the North Pole. 2. Sirius XM Covers Pandora's Hit Song. Satellite radio is big business. 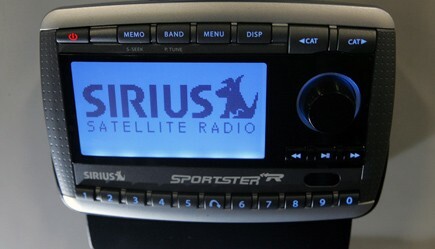 Sirius XM (SIRI) closed out its most recent quarter with 23.4 million subscribers, and it's hungry for more. In an effort to get drivers already paying for access through their factory-installed car receivers to shell out a little more, the company began offering on-demand Internet access to many of its more popular shows this summer. Sirius XM has also been promising personalized Internet radio -- offering a similar experience to Pandora (P) -- by the end of the year. Well, we're closing in on the end of 2012, so it wouldn't be a surprise if the music discovery feature isn't ready in the coming days, though Sirius XM did stick to its goal of launching an on-demand service during the second half of this year. It could be a game changer for Sirius XM, especially since Pandora already has more than 60 million active listeners. 3. A Redbox Kiosk in Your Hand. Another digital service that has been pointing to a 2012 launch is Redbox Instant by Verizon. Leading wireless carrier Verizon (VZ) and Redbox parent Coinstar (CSTR) have been working on a digital movie service that aims to cash in on Netflix's (NFLX) market. The service -- now in beta, but set for a commercial rollout either late this year or early next year -- is priced similarly to Netflix's $7.99 a month subscription. The movie library is smaller. There reportedly aren't any TV shows. However, the plan does include four nightly credits for traditional Redbox kiosk rentals. The combination of digital streaming bundled with about $5 worth of Redbox rentals every month may make the service a compelling choice for regular Redbox renters. Verizon will surely be pushing the service to its wireless customers. The battle will play itself out through 2013 and beyond, but it may very well start this week. 4. Bah Humbug at the Golden Arches: If you're craving a Holiday Mint McFlurry or a McCafe Egg Nog Shake on Christmas Day you may be in luck. McDonald's (MCD) is asking its franchisees to open on Christmas Day. Naturally, this isn't going over so well with activist groups that feel the world's largest restaurant chain may be asking too much of employees who are already on the low end of the wage scale. Should grandma be scooping up fries out of the basket instead of handing over presents by the tree? McDonald's argues that it's just good business. The chain told franchisees that the average company-owned restaurant that opened last Christmas took in $5,500 in sales that day. That should increase if more consumers on the road know that the burger giant is open on Christmas. Leftovers can only go so far. Right? 5. Cliffhanger: We can't forget about the fiscal cliff. This remains a serious and as of yet unresolved situation that needs to be resolved this month. If not, dramatic tax increases and cuts in spending will kick in. One side wants tax hikes for the wealthy. One side wants spending cuts across the board. Neither side wants those things to the extent that they'd get them if the fiscal cliff doesn't get resolved. It's is a fluid situation. Negotiations continue. The clock is ticking down on a matter that could send the economy spiraling back into recession if it isn't resolved. Will it be a Happy New Year? We can only hope. Motley Fool writer Rick Aristotle Munarriz owns shares of Netflix. The Motley Fool owns shares of Amazon.com, McDonald's, and Netflix. Motley Fool newsletter services recommend Amazon.com, McDonald's, and Netflix. Will Redbox Be an Instant Success?